That astounds me. I have been using GAC700 for a LOOOOONG time, and three coats produces what I refer to as a glazed donut appearance. Last coat after the sealer is carbon black. I use a Sherwin Williams product called Loxon conditioner. I worked for SW for several years and still have some connections in product design/chemists that I can bend an ear. 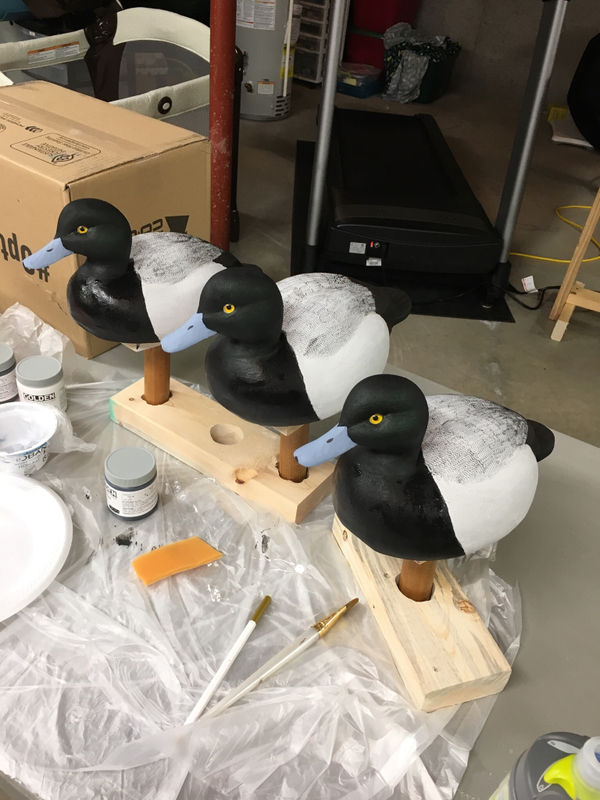 I seal the whole decoy and then paint with the Goldens heavy body matte acrylics. No voids, pinholes, etc to worry about. I also sand to 120 by hand before sealing so it's a pretty smooth surface to begin with. My thought on the sealing of the cork (my educated opinion based on coatings sales - not a chemist) is that I wanted a penetrating seal coat not a film building sealer so that if by chance the first 1/8" layer of the decoy is scuffed, chipped, or otherwise abused it will still be sealed to a certain depth and not prone to soaking up water. Who knows. Time will tell! What I do with the GAC is spray the surface of the deke with water, then apply the first coat of GAC. I discovered that the GAC follows the water and penetrates on that coat. Between the second two coats, then the carbon black base, then the golden matte, I have created a pretty impervious surface. Keels are attached using Gorilla Glue. Of course, an errant shot below the normal waterline might cause problems, BUT, that is what the hospital is for. I'll throw in a 3rd option....Traditions Cork Sealer. I used the GAC 700 for several years as George does but I just didn't like the way it sealed. Purely a personal preference...it does a great job. When I was turned on the Traditions ( Jansens at the time) I switched products. I just feel like I get better penetration with the Traditions. 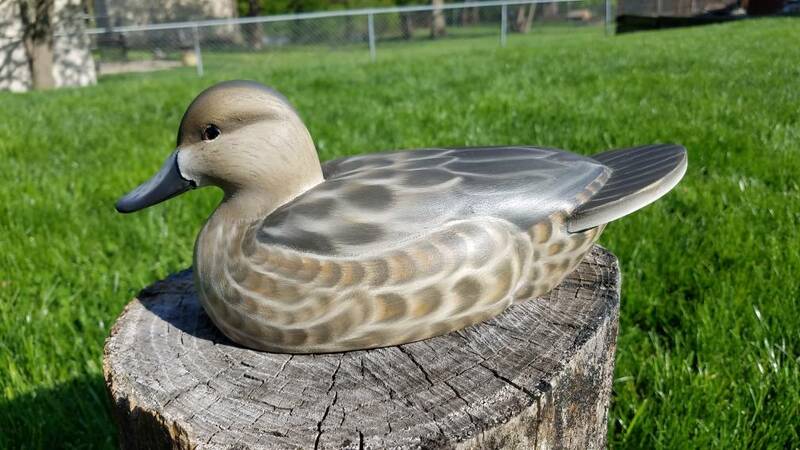 That being said my older decoys (GAC 700) are still going strong just like the newer ones. Older ones are pushing 15 years old and newer ones closer to 10 years. Not sure it matter but I feel like the multipurpose sealer soaks into wood better than the cork sealer. So I use them interchangeably on whatever medium I'm working in. 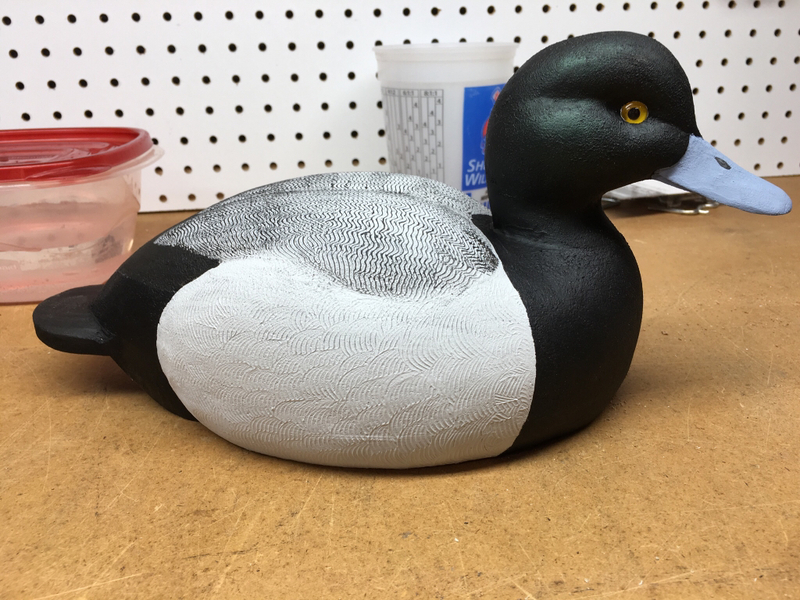 This is one bird I have been working on. Another greening hen. More color this time. Love it. Very nice Phil!! Looking good, nice work from everyone, Helps keep me motivated! Phil, nice looking work on the hen. Scott, I have used traditions, also, BUT cannot get it in five gallon buckets, like I can with GAC. Strange, but back in the old days, in grad school, I could not afford to buy gesso to seal large canvbootyes, so found that Sherwin-Williams A100 house paint really did the trick, at a much more reasonable price. I may give the loxon at a later time. Just happy that I have figured out a way to get along with the GAC 700. I think it may have something to do with production. Really like that hen Phil. Airbrushed??? 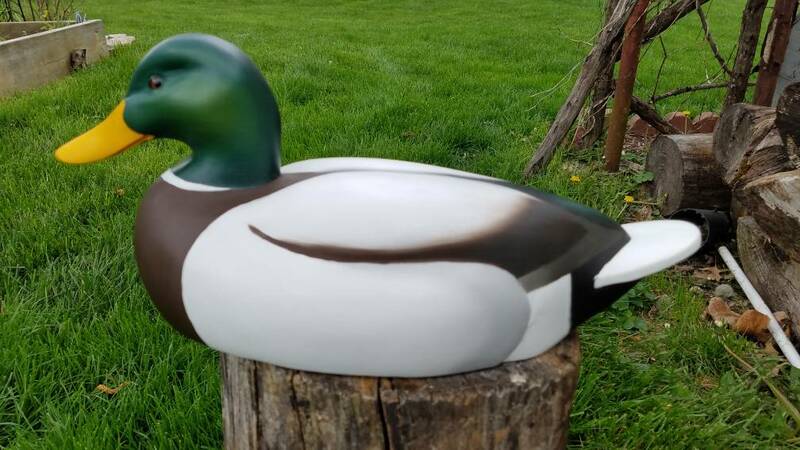 Bbootywood and oil paint mallard. I'm letting it sit for a week or two before finishing the bottom and attaching a pad weight and leather loop. Sorry the pic is a bit blurry. Nice looking Park Duck Phil. What oils are you using? I like the slight sheen on it, makes it look more lifelike to me. I finished up those three Broadbills I was working on but just didn't get around to posting yet. I need to make up keels and brand them before I finish painting the bottoms and call them ready but they're real close. Scott did you get that can dressed yet? I want to see what you ended up doing on the back and paint. Greg I unfortunately haven't touch it. Been spending my free time clearing fence lines...and occasionally slipping away for some turkey hunting and running limb lines on the river. Greg if I was guessing I'm gonna stay with my old paint schedule. It's easy and gets the job done. The bird will be the twin to the one I posted down in the cork section.